You must be 25 years old to rent this house! 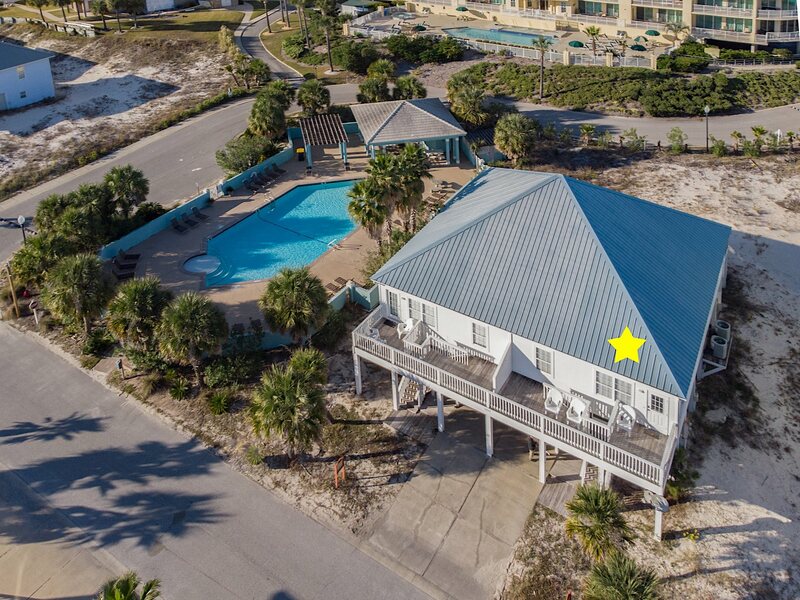 Situated on the spectacular Island of Gulf Shores, this spacious, three bedroom duplex, offers the ultimate essence of island living. 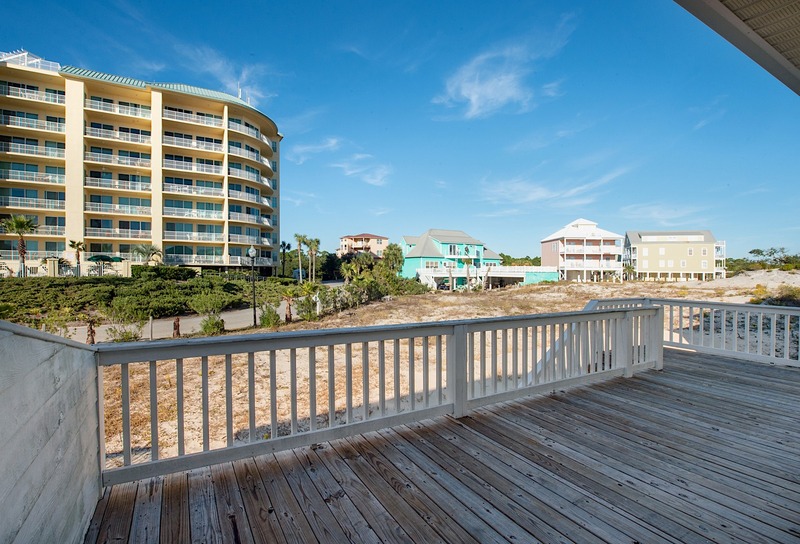 Here on this secluded peninsula at the West end of Gulf Shores you will find un-spoiled, un-commercial, un-complicated, un-crowded and un-forgettable vacation experiences. The area features gorgeous and beautifully maintained spacious lawns, exotic plants and flowers and of course lots of palm trees. Our private beach is over 10 miles with the most beautiful white sand you will ever have between your toes. 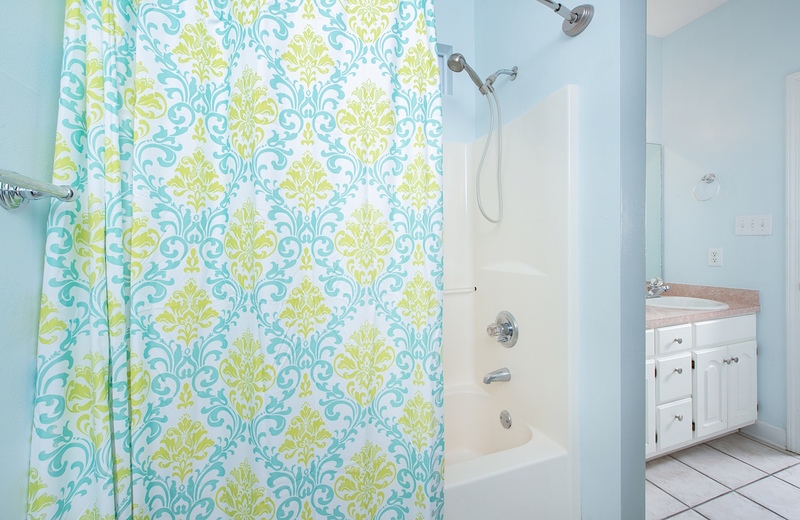 Inside the home is extremely comfortable and features all modern amenities including wireless internet. 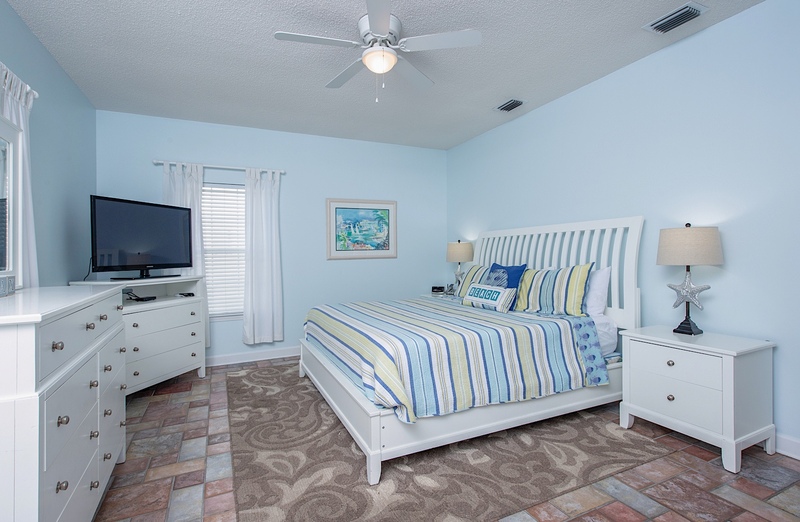 The master bedroom has a high quality king-sized bed (new mattress 2018) with a private master bath. The second bedroom has a queen bed with an adjoining bath. 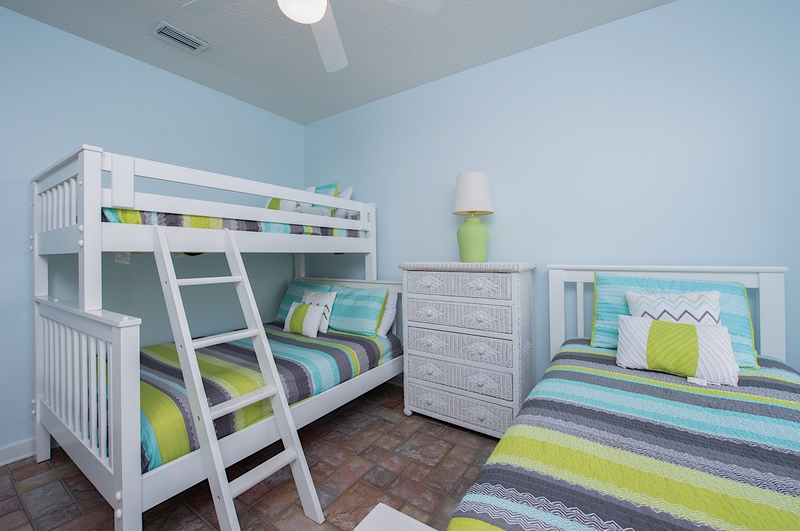 The third bedroom for the children has a set of bunk beds with a full bed on the lower bunk and also another twin bed. The children's room will sleep four very comfortably. All furniture throughout is in superb condition. 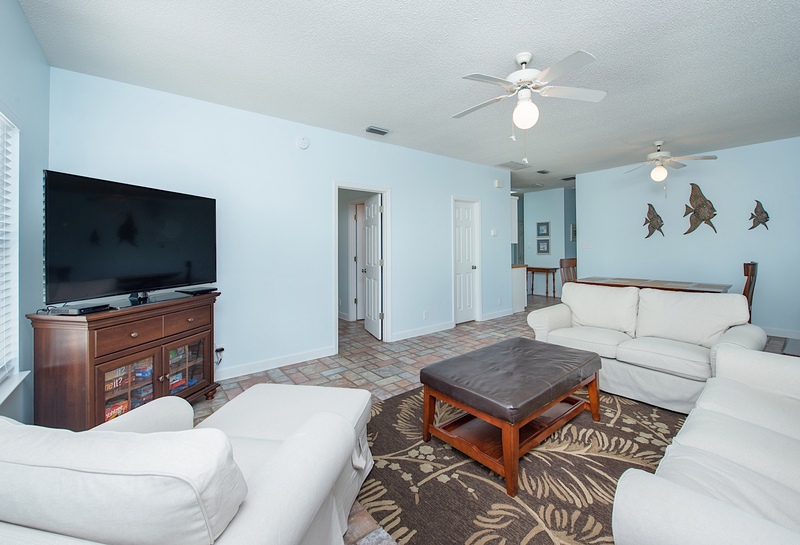 Daily living is of course always outside where you can search for shells in the sand of the Gulf of Mexico or take long walks or watch the children play in the pool while you enjoy the hot tub. Within easy walking distance is the Gulf Shores Marina. There are numerous culturally interesting excursions available. They offer charter fishing trips, kayak, pontoon, and Jet Ski rentals. They also have a restaurant that will be glad to cook what you catch or serve you some great local seafood. THIS IS A PET FRIENDLY PROPERTY. You must call to book if you are bringing a dog. This house is a mandatory Saturday to Saturday rental starting Memorial Weekend.Free Fun Included Every Day! To enhance your vacation experience, Sunset Properties includes Xplorie, which means free admissions and rentals everyday of your stay to some of the most popular attractions the area has to offer such as a Fun Center, Nature & Scenic Cruises, Golf, Fishing, and a Water Park! Some exclusions may apply. "An escape from winter in a great place. I foresee several more years of wintering in Fort Morgan. No disappointments, just delights!Thank you, Sunset Properties." "Awesome!! Thank you, Ray, for the wonderful review of your stay in Dolphy Dunes East! We always look forward to having you and your wife as our guests! I hope your summer is terrific, and we look forward to seeing you next winter!" 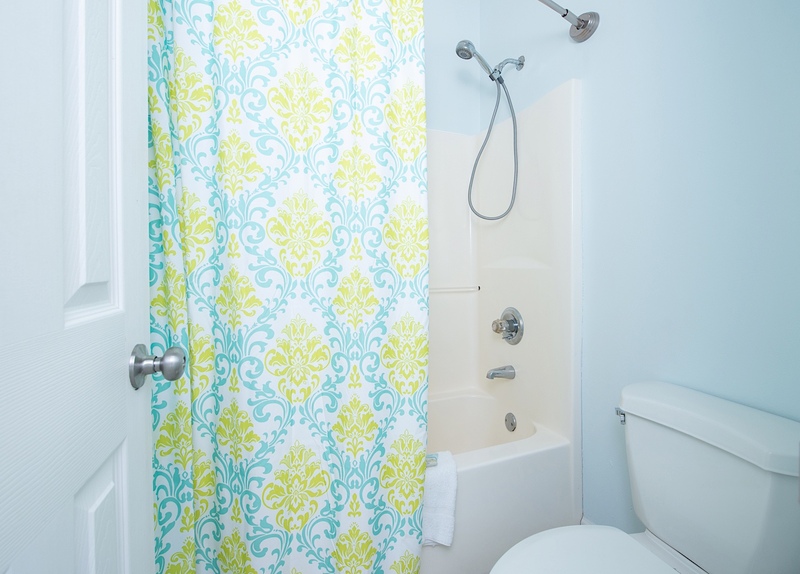 "The only issue that we experienced was the plug ins didn’t work in either bathroom." "Thank you for staying with us at Dolphy Dunes East! Sorry about the bathroom plugs. We would have sent maintenance to take care of that if we had known. Give us a call and let us book your next trip!" "We loved our stay at Dolphy Dunes East! The house felt like home within the first day. It was clean and nicely decorated. We were there a week and decided to reserve it for next winter. The beach was awesome and our Boxer, Beans couldn't get enough of it. My sincere thanks to Becky, Jennifer, Mark and Jim for their quick response to the very few issues that arose. If I had my druthers the master bed would have a firmer mattress and a couple of the windows were sticky, but all in all we fell in love with the place and the people. Once again, thank you,Becky, Jennifer, Mark and Jim forgiving us the best winter of our lives! We will see you in December!!! "Thank you so much! We are so glad you enjoyed your stay at Dolphy Dunes East! It is a beautiful home and in a quiet , peaceful location. And we are glad Beans enjoyed it! He is a beautiful fellow! We look forward to seeing all of you in December at your "Home away from Home"!" "It was a perfect low key place for our family. We have four little kids and having the pool next to us was perfect. The beach was a short walk too which made it easy to come back for nap time or lunch. The house was clean and there were some problems with the air conditioning, we called and maintenance was there in like 5 minutes. Great place!" "Karen, I agree, great place to be with your family, appreciate you taking time to write a review! Hope to have you down again soon!" 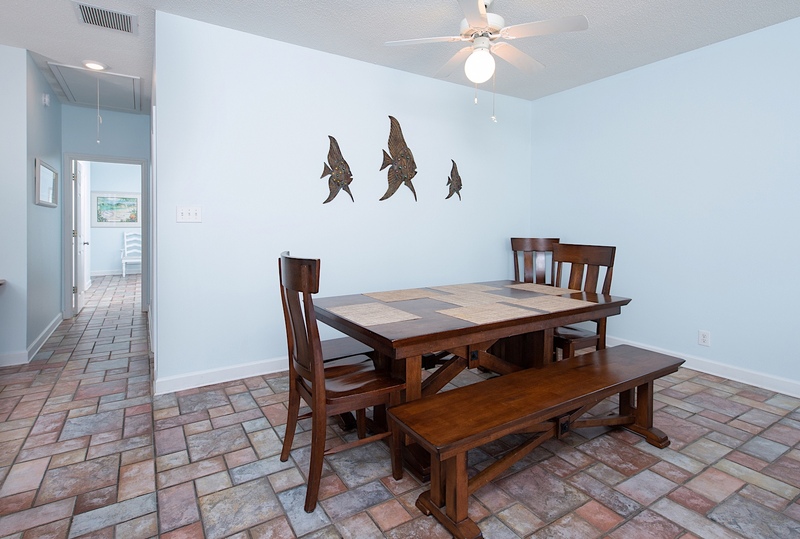 "Pro's- The pool is located beside this home which was wonderful and the ocean is a very short walk. Also they had parking by the boardwalk so you can load and drive your stuff down. Nice because of cooler, chairs and so on... It was a nice quiet gated community. House was very nice. Con's- Distance to gulf shores, front porch not being covered to escape the rain and hot sun. The toilet in the master needs to be worked on, also the toaster needs replaced. " "Thanks for the review. Next time you are with us, please call immediately if you find something that needs to be fixed or replaced, and we can be there in a jiffy! We hope to see you again! " "We had a great time, loved the house, pools and beach. The house is fully equipped and very nicely furnished. Very relaxing." "Yay!! So glad to hear you enjoyed your stay! Thanks so much for taking time to write a review for us1"
"We had an awesome stay!! "Yay!! Please come see us again!" "It was a great stay and look forward to trying to stay in the same location again next year"
"Fort Morgan is a beautiful remote area and exactly what we were looking for. It is 18 miles from the many restaurants in Gulf Shores although there are a couple restaurants nearby. 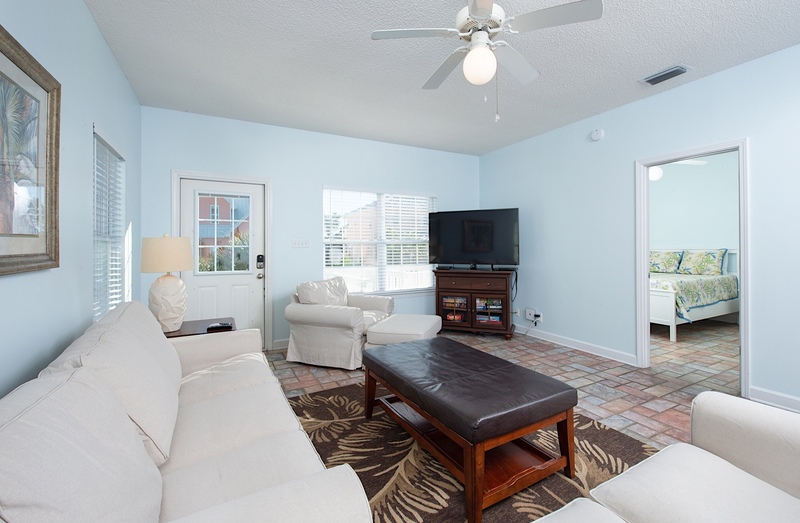 This property had everything we needed for a comfortable stay and loved that it was right next to a pool and it was an easy walk to the beach. Weather at the end of April was gorgeous. We are fairly easy to please but did feel like the property was not cleaned thoroughly before our stay. The tile floor was sandy, the stove top had cooking splatters and the toilets could have been cleaned better. It also would have been nice to have a few hangars in the closets. "I am glad you enjoyed the area, and that the weather was good for your stay. Unfortunately, it was the owners who were there before you, and they insisted on cleaning it themselves. So, our housekeeping staff was unable review the clean. We are terribly sorry that it was not cleaned to your liking, and we assure that if you decide to stay with us again that will not happen! " "Had a great time in this lovely house. It was the perfect amount of space for our group of 5." "Thank you for taking time to write a review of your stay in Dolphy Dunes East. We are happy to hear that you and your group had a great time in the house and that you found everything to be perfect for your stay. Sunset Properties takes pride in making sure that every property is clean, maintained and equipped with everything needed for a great vacation and we love hearing from our guests that they were so happy with everything. Please keep an eye on our website and other social media sites for future specials and upcoming events in our area and call us soon to book your next vacation. Sincerely, Sunset Properties Staff"
"Property was good but furnishings linens were less than expected." "Thank you so much for taking the time to review this property. We are sorry to hear that your linens were not all that you had hoped. We have contacted the cleaning service and they are correcting the problem. We hope you will return to stay with us in the future and we can have a chance to impress you completely. Sincerely, The Sunset Properties Staff"
"Thank you so much for taking the time To review your stay. We hope you can come back to the beach soon!" "We loved the place. It was very clean and had plenty of room. Would absolutely recommend to others." "Thank you for taking the time to review this property and your vacation. We are so glad to hear you had a wonderful stay and we look forward to seeing you again very soon. Sincerely, The Sunset Properties Staff "